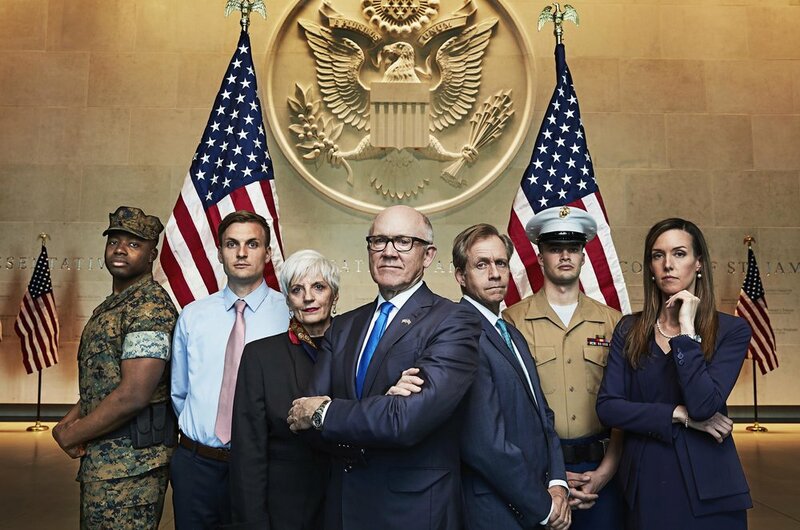 With a new Ambassador in place, major relocation to a new Embassy site and an effort to strengthen and expand the ‘special relationship’ in the time of Brexit, Field Day Productions goes behind the scenes to show how a modern U.S. Embassy works at a pivotal moment in history. Filmed over several months, the series gives insight into one of the world’s most important Embassies. The U.S. mission represents the Office of the President of the United States and protects its citizens abroad, its business interests and culture, and manages visa applications of would-be visitors to the United States. The new ambassador, Woody Johnson, is a close personal friend of Donald Trump, but he still has to deal with the fallout from the President's more controversial policies, tweets and retweets. This episode follows consular staff as they try to decide who should and shouldn't be allowed to enter the USA, following the introduction of President Trump's controversial travel ban. This episode looks at Brexit's impact on the American embassy staff. And Britain and America prepare for joint air strikes in Syria. What's it like to be responsible for President Trump's UK visit? This episode joins the US embassy team responsible for keeping the presidential show on the road.